Learn to attack and think like an attacker. Only by having this knowledge are you able to defend networks and system. Without Red Team knowledge you are fighting a battle where you do not understand your enemy. This basic principle was well understood well before the existence of computing. Utilizing layered defensive techniques and first-hand knowledge of proper configuration, testing, maintenance, and upgrades Blue Team students learn to apply their broad knowledge of threats, techniques, and best practices to create and operate well designed networks/systems. The Blue Team is at a significant disadvantage. This asymmetric challenge results in loss/breaches. Digital Forensics and Incident Response (DFIR) is a highly specialized skill set and detailed knowledge to be effective. We educate DFIR students in threat detection, breach detection, threat hunting, attribution, and many more investigative techniques. While our training focuses on efficiently finding answers, we also have specific training on working with law enforcement, intelligence, and the military. Threat intelligence is an essential component of cyber defense. The CWR works with our members to collaboratively analyze, investigate, and make actionable recommendations to defend their digital presence. This effort is a synergy of automation, distributed computing, deep learning, and human efforts. The results are transformative. 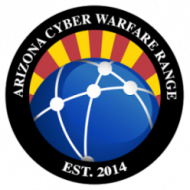 Cyber Warfare Range, Proudly powered by WordPress.